The CENTAC Pondicherry Counselling will be conducted through online mode. The counselling session is going to be conducted on June 2018 for providing admission into various professional courses. Candidates can participate in the counselling process after the payment of the admission processing fee via online payment gateway. Candidates must register themselves for CENTAC Counselling process, which will commence from 4th week of July 2018. After payment of fee, applicants must fill their choice of course and college which they want to opt of. The final list of selection and seat allotment process will be uploaded in the official website which the candidate can download. Once declartion of final results, candidates must report to the alloted institute on the notified date and time and further go through document verification process. After the completion of counselling process, candidates will be provided their respective seats through CENTAC seat allotment results, which will be uploaded in the official website. Applicants will be offered their desired seat on the basis of If in any case seat remain vacant then further round of counselling may be done. 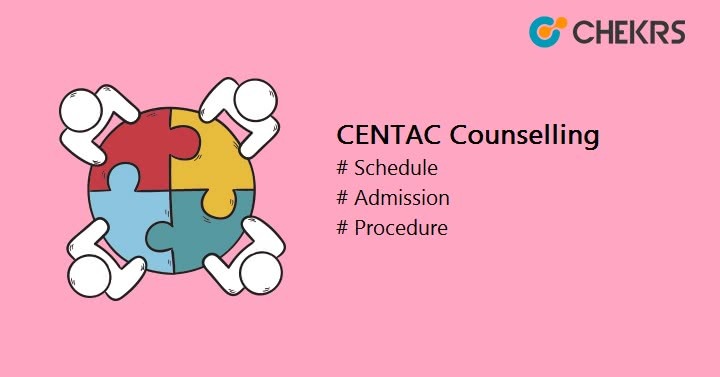 To receive the upcoming updates of CENTAC Counselling 2018, may a frequent visit to our page and we will also provide you precise information related to Engineering Entrance Exam calendar.